Dogs on their own look cute and don't need any dress or costume to make them look cuter, but occasionally if want to dress them up its your call. 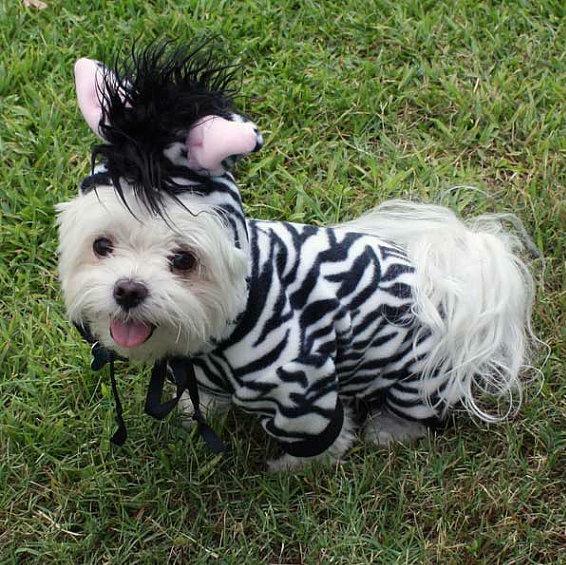 Then again we aren't sure if they really appreciate being dressed up all the way as per your liking. Ewok Dog Costume: Do you remember the Ewoks, furry bipeds native to the forest moon of Endor in the Starwars universe? 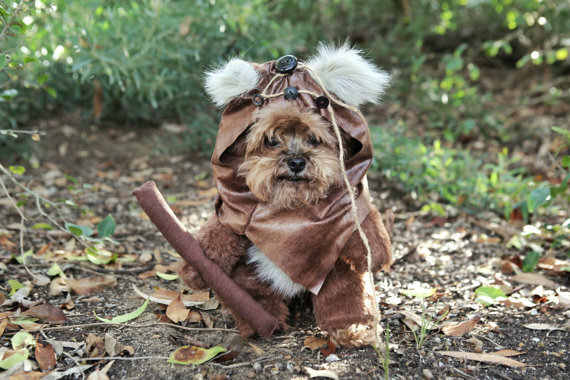 The Ewok Dog Costume is just the thing you need to make your Maltese dog or Shih Tzu to look like one. Buy Now. AT-AT Dog Costume: Now lets say you are having a Starwars themed party, then can you leave your favorite four-legged member of the family out of it? 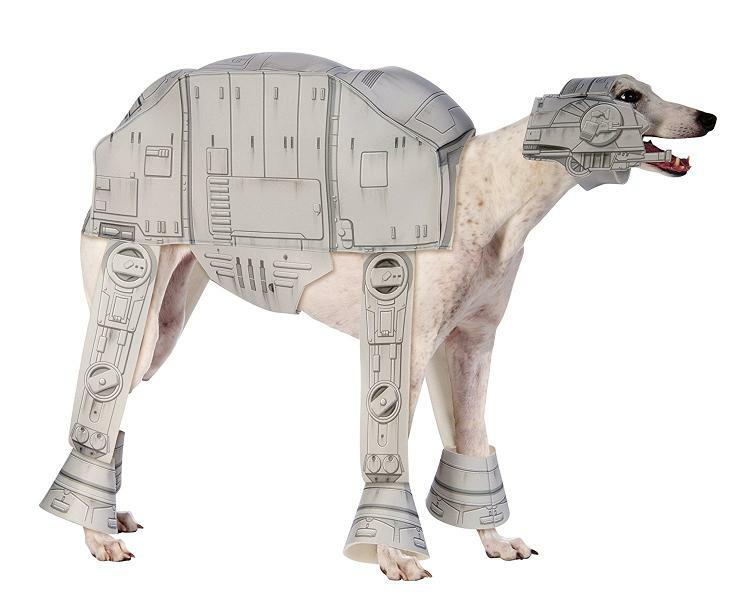 The AT-AT Dog Costume is just the thing you need for them so they can join the Starwars family. Buy Now. Startrek Spock Dog Hoodie: Space: the final frontier; now let your four-legged be a part of the saga. 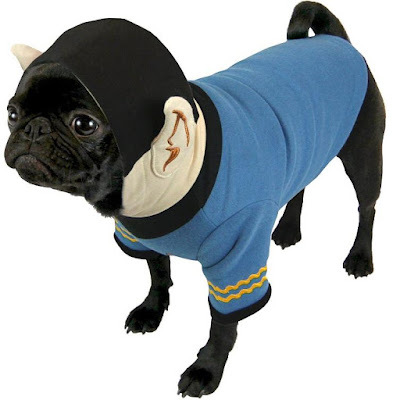 The Startrek Spock Dog Hoodie features an insulated sweatshirt material body with printed collar, embroidered rank braid on sleeves and appliquéd Spock ears. Buy Now. 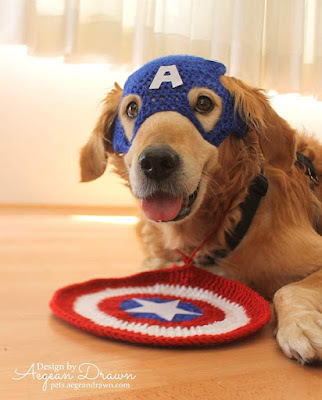 Super Hero Dog Costume: The Super Hero Dog Costume is a crocheted 2-piece set that includes a blue helmet/mask and the shield. The white accents (star, lettering, etc) are made from white felt. It's sure to bring a smile to anyone's face. Buy Now. 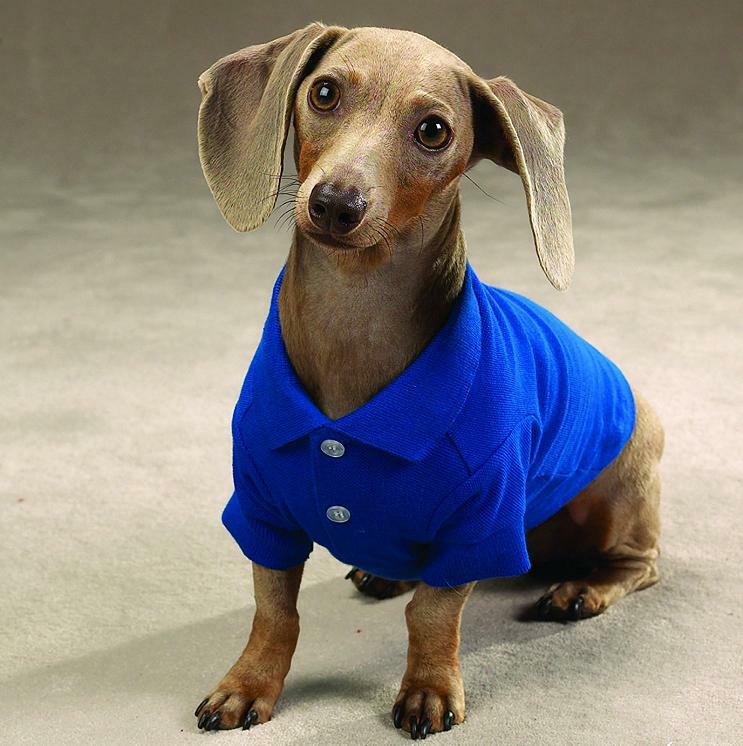 Polo Dog Shirt: The Polo Dog Shirt gives your sporty dog a distinctive and elegant look. Buy Now. Dragon Dog Costume: The Dragon Dog Costume is perfect for making your dog look like a small dragon. Buy Now. 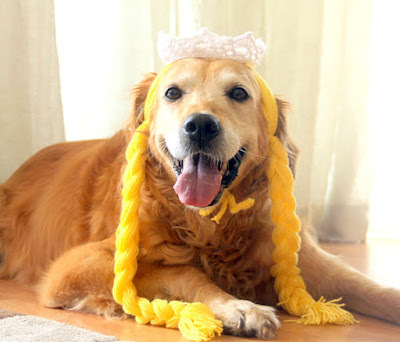 Princess Dog Costume: You may be treating your dog as a princess, perhaps its time to dress her up as one. Buy Now. 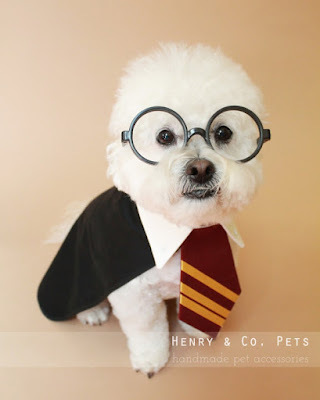 Harry Potter Dog Costume: The Harry Potter Dog Costume features a black cape, a shirt and tie collar in the Gryffindor house colors. 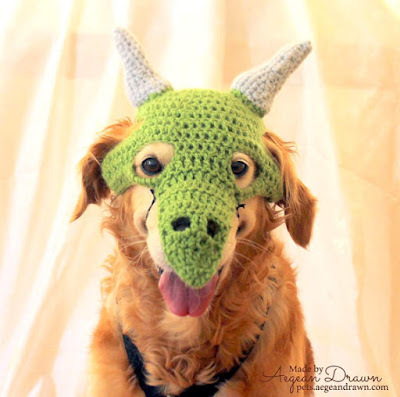 You can even get the other house colors, and its customized as per your dog's measurements. Buy Now. 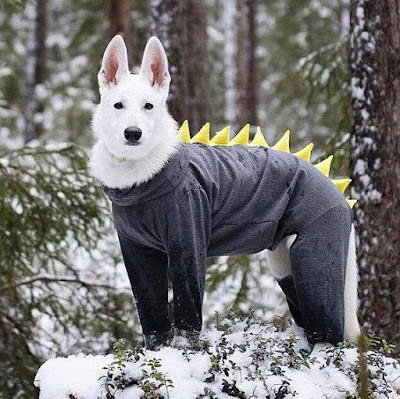 Pokemon Theme Dog Costume: How about getting a Pokemon Theme Dog Costume for your favorite four-legged friend? Buy Now. Yoda Dog Costume: This Starwars inspired Jedi dog costume lets you dress your pooch as Yoda. Buy Now. 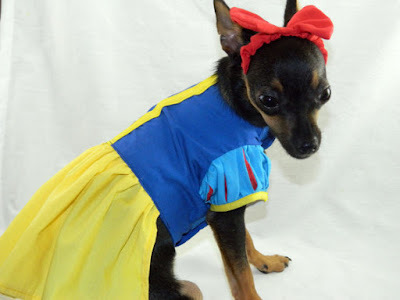 Snow White Princess Dog Costume: This adorable Snow White Princess Dog Costume comes with a headband and the bodice of the dress is fully lined with sleeves. Buy Now. 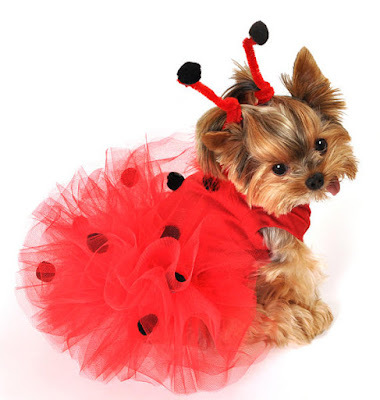 Ladybug Dog Costume: How about turning your cute furry ball into a ladybug? The dress features a tutu skirt attached with black pompom dots and its antennas can be used in the hair or on collar. Buy Now. Zebra Dog Costume: The Zebra Dog Costume is made from a warm zebra print fleece fabric with black hoof accents and its pull over construction makes dressing and removing it easy. Buy Now. 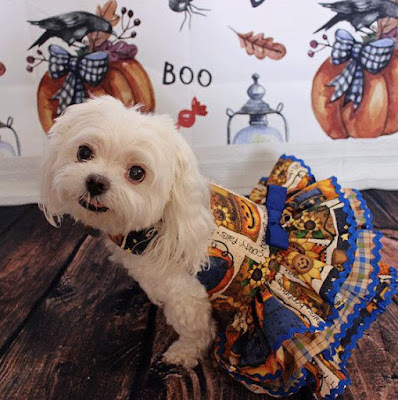 Fancy Dog Costume: The Fancy Dog Costume is made from a cream cotton fabric and decorated with rickrack trim, and also features a triple ruffle. 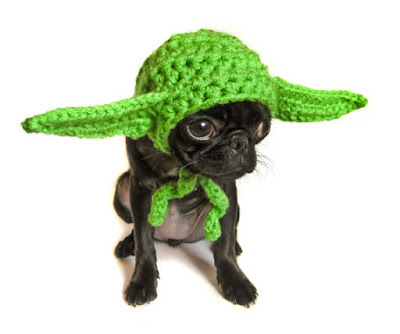 It's sure to make your dog look cuter. Buy Now. 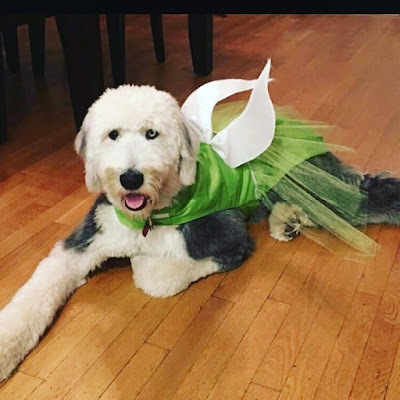 Tinkerbell Dog Costume: What do you think of this Tinkerbell Dog Costume? Doesn't it look cute? Buy Now.